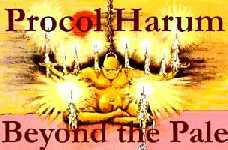 Like the band, this Procol Harum website offers no gimmicks, but relies on the material to speak for itself. We hope to be authoritative, occasionally provocative, and, thanks to numerous contributors worldwide, as comprehensive as we can. So enjoy our 7,500+ pages, thousands of illustrations, and weekly updates : we welcome contributions of new articles, personal photographs, and of archive material.